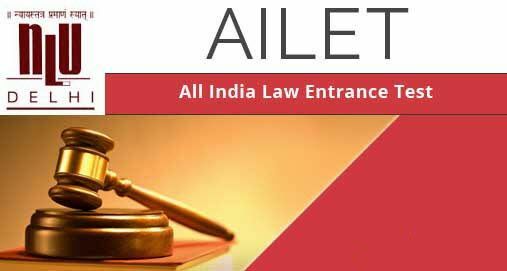 AILET Previous Question Papers: The National Law University, Delhi conducts All India Law Entrance Test (AILET) to fill up 80 seats in BA LLB, 35+5 seats in LLM, and 05 seats in Ph.D. courses. The selection of candidate is on the basis of their performance in AILET. Foreign nationals are exempted from giving AILET 2018. A total of 10 setas in the institute will be filled directly with the Foreign Nationals on the basis of merit in qualifying exam. In this post, we are providing the AILET Previous year question papers with answers. With the help of this article, the students can get an idea about what type of questions asked in AILET exams. For BA LLB course – The exam will be of 1 hour & 30 minutes duration. The test will be total 150 MCQ questions. There will be a negative marking of 0.25 marksfor every incorrect answer. Hope you like this AILET 2013, 2014, 2015, 2016, 2017 Question Papers with Answers PDF Download post. If you like this, Then please share it with your friends.